Bronze balustrades for a contemporary family home in North London. 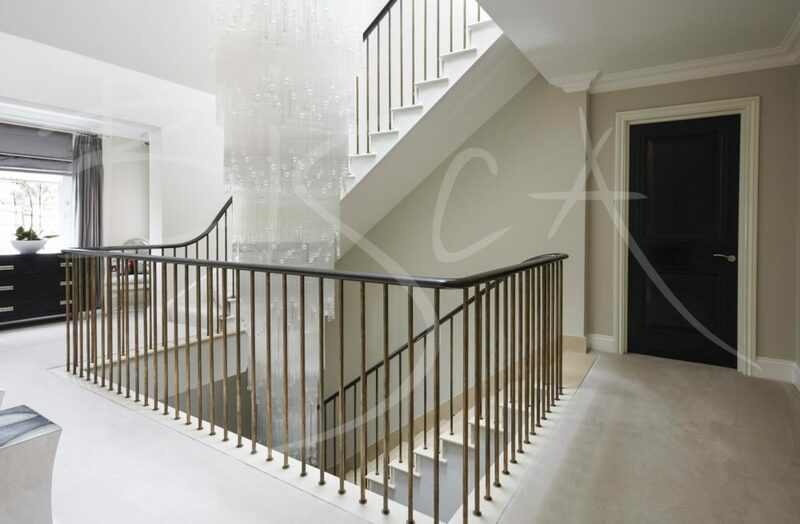 Our clients asked us to design and install new bronze balustrades for two flights of stairs and landings. Mass market spindles of the old balustrade, together with an angular handrail made the entrance hall look dated. Their fussy design did not fit with the modern, contemporary style of the rest of the home. Our design used raw bronze for the uprights and a dark, stained timber for the handrail. The replacement bronze balustrade uprights are hand forged and finished by Bisca’s in house blacksmith. Simple, elegant and of timeless design, they give a contemporary feel to the property. We treated the raw forged bronze with a clear lacquer, therefore preventing the natural aging process. 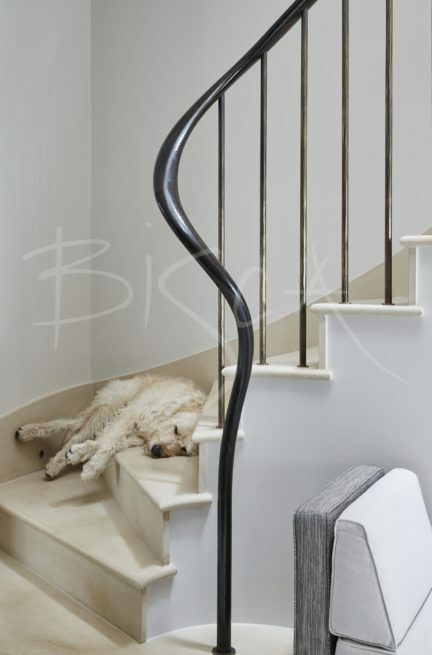 A new timber handrail flows without interruption down the entire length of the stairs and around landings. Throughout the design process we provided samples of bronze and timber finishes for approval, thus ensuring our clients were totally happy. 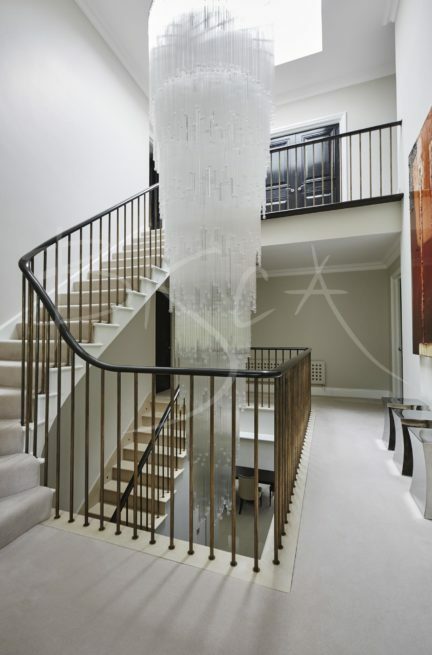 In the basement of this property we designed a square profiled handrail. 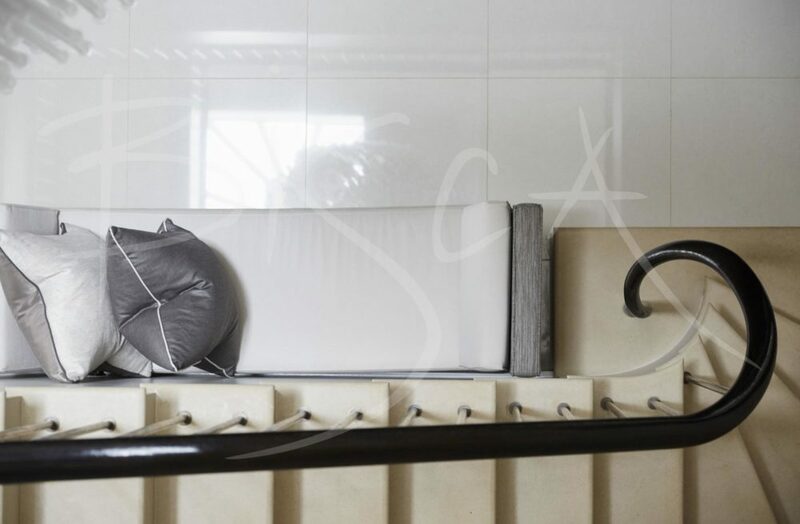 For more details on the STEEL handrail, please mention 4990 when you speak to our sales team. This project also appears in our before and after section. 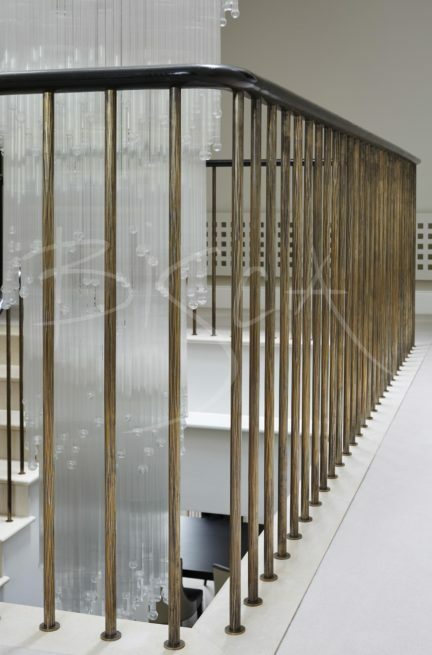 For information on BRONZE balustrades, or a free design consultation please contact us, quoting 4875.